National Mills Weekend 9th-10th May 2015 is the annual festival of our UK milling heritage and provides you with a fantastic opportunity to visit mills, many of which are not usually open to the public. During the weekend Denby Dale Radio Society are co-ordinating the radio ‘Mills on the Air’ linked event and many Radio Amateurs and Short Wave Listeners will be tuning in. 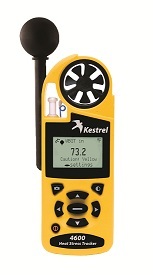 CADARS will also be collecting data for the health of the operators using the following Kestrel equipment. Wind speeds and Temperature will be the most common data to be monitoring for the 12 metre mast loading. There will be CADARS members operating in shifts through the evening of the 9th & 10th May and data collected will be critical for any sudden drops in temperature and increases in wind speed.